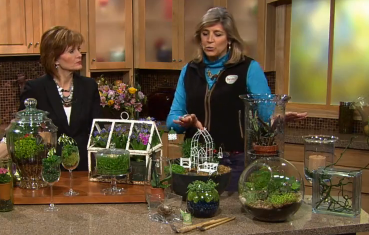 Heidi Heiland demos a variety of terrariums on an NBC affiliate in Minneapolis. We've got sun and heat in Texas already but I imagine that our neighbors in the northern states are still looking for gardening projects to do indoors. Do you live in a climate that is still in the throes of winter? I always wondered how to plant cactus or succulents in sand! Great ideas! Wonderful-let me know how it goes! Thanks for all the great resources on your site! The link on this page doesn’t work any longer.....do you have .any idea where I can find Heidi Heiland‘s article/video? I can’t find it on YouTube or by search google.